Authentic arts in Alleghany flow free in many forms. Our mountains are known for it’s rich history of Old Time Music and clogging. Musicians, song writers, and instrument makers inspire our Junior Appalachian Mountain youth to continue the tradition. Local writers and storytellers encourage creative writing in the community and Writing Across the Curriculum in our schools. Our diverse artistic culture also brings us pottery, fine art, jewelry, dolls, stained glass designs, quilts, photography, wood carving, basket making, needle work, and so much more. Take advantage of our music venues, festivals, author events, and art tours to get the full affect of the art culture in Alleghany. Unique handcrafted heritage carved and painted lifelike birds. Located in the heart of historic Sparta, Alleghany Arts and Crafts is a feast for the eyes. We offer a beautiful array of locally created pieces. 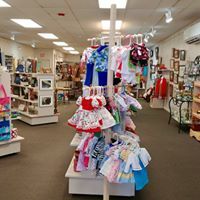 Our one-of-a-kind works range from fine art paintings, photography, pottery, stained and painted glass, jewelry, quilts, clothing, knitting and crocheting, candles, dolls and toys, soap, cards, jams and jellies, to leather and woodwork and much more. The Alleghany Community Theatre was incorporated in the fall of 1999, but its roots go back almost 30 years. "The Diary of Anne Frank" and many other well-received productions occurred under the leadership of Debbie Brady. Following the example of Wilkes Playmakers and relying heavily upon support from Debbie Brady and David Reynolds, Paula Joines and Kelaiya Davis took the initial steps to form the non-profit organization that is now ACT. Alleghany JAM is an after-school traditional music program that meets Mondays and Thursdays from 3:15-5:30 pm at Sparta Elementary School. 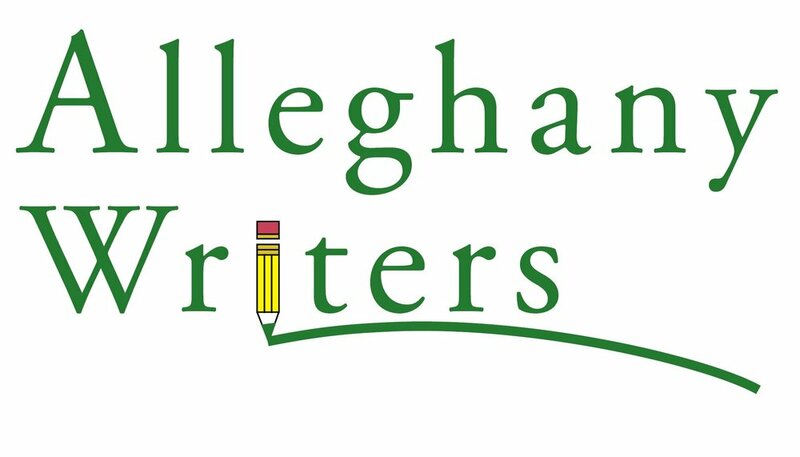 ALLEGHANY WRITERS is an independent group of creative writers and poets who meet monthly to develop their writing craft. The group works with local teachers to implement Writing Across the Curriculum, organizes educational workshops and events to support local and regional writers, and brings visiting authors to the Horizon Bistro Stage in downtown Sparta for book talks and performances. We welcome new members and those who enjoy books, authors, and the creative process. A full list of our events and workshops available on our website. If you love to flatfoot, clog, square dance or just tap your foot to old time mountain music, the Alleghany Jubilee is where you want to be! We are open year-round with a spacious wood dance floor and live mountain music every Tuesday and Saturday night. Taps allowed! The Jubilee is in the historic Spartan Theater building at 25 North Main Street in downtown Sparta, a small town nestled in the mountains of northwest North Carolina. We are handicap-accessible and family-oriented. Alcohol is strictly prohibited. Kids are always welcome! Come join the fun! When Walt McMillan retired, he wanted something to do with his time. He got interested in the brightly colored quilt squares that adorn barns and old buildings all across rural North Carolina. After a little research, he started painting some of his own and now his work is in high demand. You can email McMillan at yvwineguy@yahoo.com. Using native wood, Blue Ridge Wood Crafters bring the natural beauty of the mountains into your home. Wood varieties such as oak, poplar, walnut and wormy chestnut are hand crafted into home accessories and furniture pieces as beautiful as they are durable and useful. Browse our selection of handmade wooden accessories and furniture for your own home or to be given as a cherished gift for family or friend. Then call or contact us by email for purchases or for answers to your questions. Pottery originals from Robin and Daniel Cater. Visit their studio or shop in local shops to see their original works. Robin and Daniel Cater create functional and sculptural clay works. You can see their work at their gallery Mangum-Cater on Main in Sparta, North Carolina. The life of Delta Peterson is a patchwork of art, accomplishment, and achievement. Her work has been exhibited at multiple local galleries and she has been recognized with a variety of awards. For Delta, quilting taps into her pride in workmanship, her appreciation of beauty, and strong ties to her heritage. 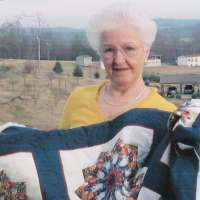 Both artisan and business professional, she is the founder of the Alleghany Quilters Guild and a member of the North Carolina Quilters Guild, the American Quilters Society, the Alleghany Arts Council, and the Alleghany Chamber of Commerce. Fine furniture maker out of wood, metal, and stone. 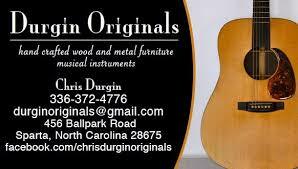 Also an instrument maker of guitar, dobro, and banjo. Specializing in copper foil method, stained glass design for panels and windows. The John Harmon Gallery is a small art gallery in Roaring Gap North Carolina featuring art from John and his friends. You can view a wide selection of John’s fine art photography framed available for purchase. 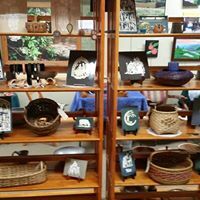 Little River Gallery offers quality, handmade arts and crafts. Our store is nestled within the main strip of Sparta. Ceramic Art Studio and Gallery located in downtown Sparta, NC. Combining over 50 years of clay experience. 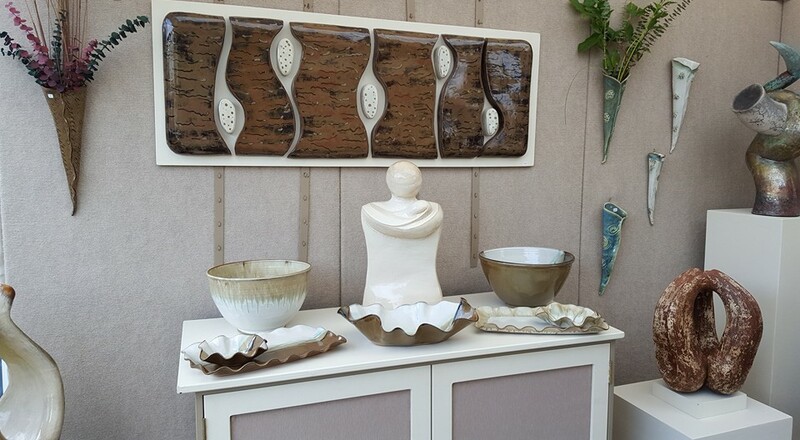 We carry Sculptural, Decorative and Functional pottery in oxidation and reduction fired glazes. Baskets inspired by the Blue Ridge Mountains. New River Artisans is a premier provider of world-class, fully custom hand-tufted wool rugs to the trade. We are pleased to be known as an authoritative and trustworthy partner in the design community. Making wheel thrown and hand built pottery since 2011! Featuring: pottery, photography, watercolors, slumped glass, intaglio prints, quilts, and porch quilts. Featured Artists: Tim Lewis - turned wood items; Walt McMillan - barn quilts; Martha Honaker - felted objects; Cindy Pardue - warm glass techniques. Fine jewelry and sculpture by silversmith Pam Sundstrom. Demonstrations of hammer forming techniques. Photography studio specializing in indoor and outdoor photography. Children, families, seniors, engagements, bridals, and weddings. The Dance Place is a 32 year old studio for professional dance lessons in Sparta, NC. Our instructors are passionate about dancing and fully dedicated to sharing the experience with others. Our philosophy is inclusive: we have classes that we aim to be fun and educational, and we're happy to accommodate students of all skill levels. Browse the following pages to learn more about our dance instructors, the classes we offer and some special events we're hosting this year. If you want to get moving, call us at 336-372-2473 or contact us to sign up today! Voices of Alleghany is a public forum for poetry and stories written and read by people in Alleghany County. His paintings are impressionistic with a bold a use of light and shadows and dramatic perspectives. He is also a sculptor working in wood, stone, paper mache and ceramics with subject matter ranging from animals, sea life and many versions of the human form. His work is known for its movement, humor and sensual undertones.